Can You Take Marijuana On An Airplane? Let’s just answer the question posed in the headline right away so you don’t get into trouble: You can’t take marijuana on an airplane. No, not even your medical marijuana. Seem unfair, especially if you live in one of the 29 states that has legalized medical marijuana? Maybe so, but that’s life in a country where federal law is in direct conflict with the laws on marijuana in those states. All the areas once you reach the checkpoint of an airport are technically under control of the federal government. And the federal government still has marijuana listed among its Schedule I, most dangerous drugs. In another words, completely illegal. That said, a recent error on the Transportation Security Administration website led people to believe they could carry medical marijuana on-board. And truth be told, many people take the chance, anyway. Part of the reason the issue of carrying marijuana on an airplane has been on the minds of cannabis users is because of a recent kerfuffle involving the TSA website. For a brief time this month, the site listed medical marijuana as one of the items you could carry on a plane. 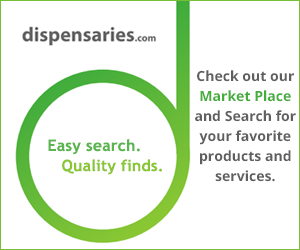 Medical marijuana was listed as OK for both checked and carry-on baggage on the “What Can I Bring?” page. And then, 24 hours later, it wasn’t. After the information about “it’s OK to bring marijuana on a plane” started spreading around social media the next day, the page disappeared for a few later. Then it returned, and medical marijuana was marked with “no” on the list of things you can bring on-board, according to The Guardian. Capechhi also hit upon another issue. Many people take the chance of carrying marijuana on a plane. This is true even though they know it’s illegal at the federal level. That’s because even the TSA admits they are not looking for illegal drugs. In a statement issued about the database error, the TSA said: “Our officers are not looking for illegal narcotics, but they have to report them to law enforcement when discovered.” Rather, TSA agents are focused on terrorists and security threats. In Denver, where both recreational and medical marijuana has been legal for years and “pot tourism” is an industry, the numbers are telling. There were 54 million passengers who went through the airport in 2015. That said, only 29 were stopped for illegal possession of marijuana, an airport spokesman told The New York Times. Those kind of odds led some to take chances. The low number of those detained might mean people aren’t taking marijuana with them. However, the Times talked with people who said just the opposite is true. They said cannabis users have figured out how to store marijuana when traveling. They package it in such a way that it draws no attention from TSA personnel more concerned with other issues. Whatever the case, the law still maintains you can’t do it, even if some people do. Until lawmakers get around to finally making marijuana legal at the federal level, it will continue to be an issue.